We can duplicate all of your automotive, residential, business, safe, and other keys with our professional key cutting equipment. Need a spare set of keys for your home, car, or business? Looking for a fast, hassle-free way to get keys made near me? When you need a key duplication service you can trust with all of your key cutting needs, call us here at Lightning Locksmith. We’ve been providing fast, mobile key duplication throughout Newtown Square, PA for over 40 years, making us the most experienced and recognized locksmith in the area. We have the specialized equipment and hands-on experience it takes to complete any key copy job quickly, whether you need an extra set of commercial keys, car keys, high-security keys, tubular keys, or padlock keys. We even copy rare keys such as skeleton keys and antique keys for China cabinets, old safes, and antique furniture. If you’ve been putting off getting a car key replacement made, buying new key chains, or having extra keys made for your house simply because you’re too busy to go to a locksmith shop, you’ll appreciate our mobile key copy service. Our expert key maker will come to your office, home, or anywhere else to provide you with key cutting service on the spot – all at a price that’s more affordable than you might expect. We are a fully mobile licensed and registered locksmith company – that means we bring our entire locksmith shop right to your door. Here at Lightning Locksmith, we are committed to quality workmanship and fair, honest pricing. When you call us you can rest assured that we’ll make sure your car key copy, new commercial keys, or extra key fob works flawlessly. 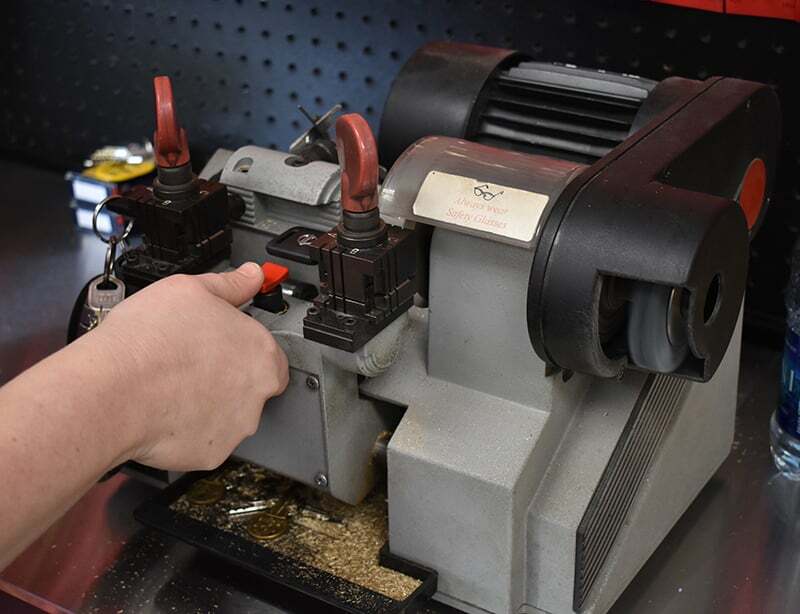 Unlike when you use an automated key maker machine, we’ll carefully inspect each key copy we make to ensure that your new key fits perfectly because a poorly-cut key copy can bind and cause damage to your locks. We are proud to be long-standing members of the Association Locksmiths of America, and we are fully bonded and insured for your peace of mind. Need A Unique Key Copied? We make it easy for you to have any kind of spare key made, including unique keys that can be difficult to find such as tubular keys that are used on vending machines, double-sided padlock keys, and even those skeleton keys that are often found on antique desks and vintage door handles. When you need a unique key copy made, call us – we have over 40 years of experience in copying high-security keys, laser cut keys, and duplicating key fobs. The next time you need keys made, call us here at Lightning Locksmith. Remember, we’re a fully mobile locksmith in Newtown Square, PA, and we stand behind all of the work we do.